Why should I buy a real tree? year when December rolls around, households ask the question: should we put up a real Christmas tree or an artificial one this year? Many choose a real tree, and particularly a balsam fir, for the beauty and fragrance it brings into their home – two things that are difficult, if not impossible, to imitate. For others, choosing a real Christmas tree is tradition, an event as important as the holiday itself. Bundling up to visit a choose and cut lot, traipsing through the snow, finding the perfect tree and finishing off the day by sharing a warm beverage with your loved ones is the perfect way to get into the festive spirit. 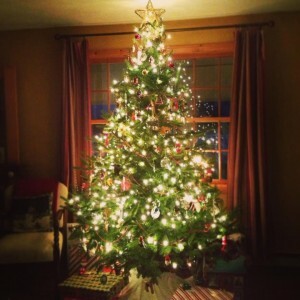 These are excellent reasons to choose a real Christmas tree, but they’re not the only ones. What many consumers don’t realize about real trees is not only are they beautiful, fragrant and natural, but they are environmentally friendly as well. The Nova Scotian Christmas tree industry is completely sustainable and is in no way contributing to deforestation. Trees are renewable, reusable and biodegradable and never end up in a landfill at the end of their lifetime. With all the food and packaging waste that seems to accompany the festive season, it’s nice to be able to support the environment with something as simple as choosing a real tree. Environmental appreciation can increase, especially among children, when real trees are used. For more information on the environmental benefits of real trees, click here. You may also be unaware that when you choose a real tree, you’re not only supporting the environment, but also our economy. The Christmas tree industry provides thousands of jobs to rural Nova Scotians and contributes millions of dollars to the economy every year. 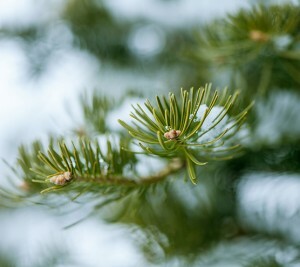 What better way is there to support local producers at Christmas than to buy a Nova Scotia-grown Christmas tree? For more information on the economic benefits of real trees, click here.